Got a busy month coming up, which started last night on November 1st at Purlfest at The Brook, Wallington. I was on a mixed and high quality bill with some of my favourite spoken word chums, Alison Eley, Raven Garcian and Nick Houghton. The pic is of me mid flow, swearing most likely. Being a festival, we also had a great soundtrack, from Heidi James, Joe Dunbar, Alison Craw and The (mad) Scrambles. It was a top night - first time I have read out in such company and to such a varied crowd. I'd written something new, and it was a bit of a departure. I am beginning to realise that it is not enough simply to write a decent story - it has to be something that can be performed and can engage the audience. My piece was called One foot in front of the other. It is supposed to create confusion in the audience, as it veers across different fragments of stories, told almost from other perspectives, but always processed through the voice and narrative of the narrator - who remains clear about what is going on. It surprised people, but I think it provoked them too, and they enjoyed it. Or maybe it was just late and they'd all had a few beers! It is a bit strange reading after a band has been playing, but the crowd were good, and respectful. 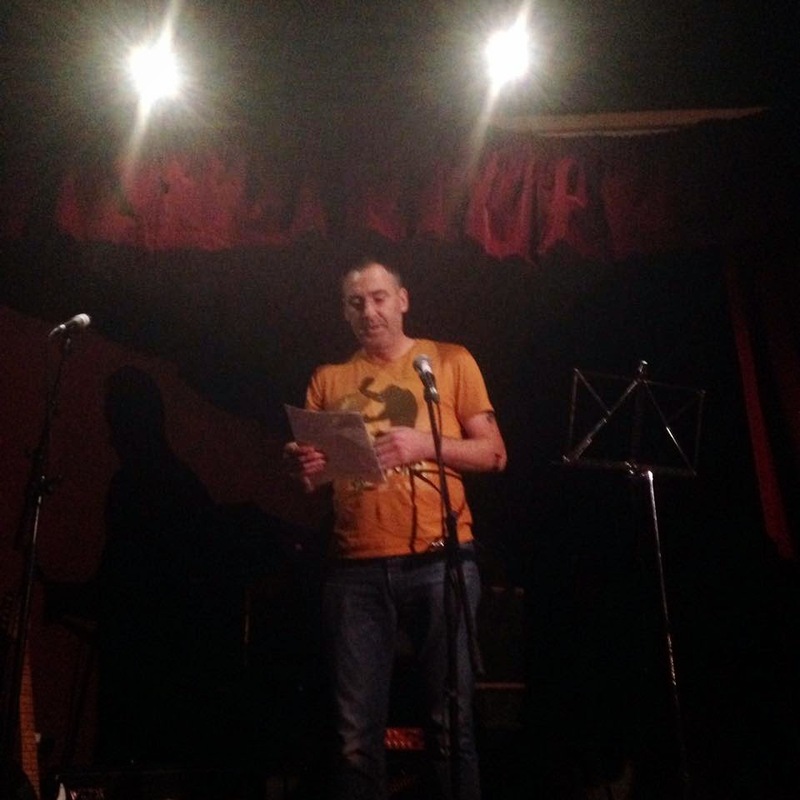 My next gig is on Sunday 15 November at 6pm in Whitechapel, where I am performing as part of the Red Army Fiction session at the Tower Hamlets Write Ideas Festival. Come along, you might enjoy it! I am on before Owen Jones. So you can stay and watch him - or buy me a pint.